In detail expect to find 1.26Gb of high fidelity sounds in the form of 376 24-Bit Wav Files with 350 Loop files in the following categories: 39 Live Drum Loops, 43 Electric Bass Loops, 39 Backing Loops, 65 Percussion Loops (including Shakers, Tambourines, Claves, Rainstick, Rakatak and Conga), 68 Guitar Loops, 50 Keys Loops, 4 Synth Loops, 7 FX Loops and a bonus collection of 35 FX Drum Loops ?for perfect for the back beats. Also included are 350 Apple Loops and 357 Rex2 Loops for your DAW of choice. Using classic vintage gear, coupled with the latest recording technology - Loopmasters bring you authentic royalty-free sounds straight to your crib. 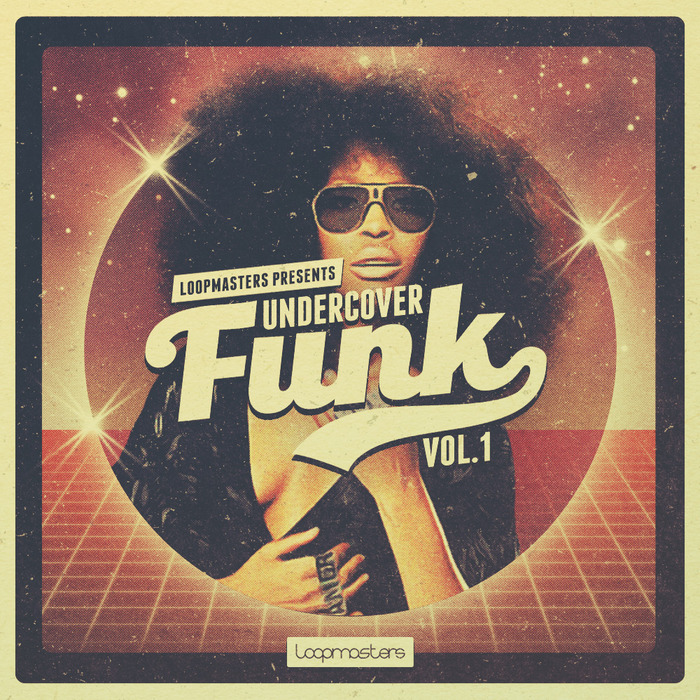 Featuring time warp sounds of the of the 1970s, Undercover Funk brings you sounds of slick Electric Guitars, banging Acoustic Drum Breaks, Rhodes Electronic Pianos and a wealth of right on Percussion instruments ? all recorded by professional musicians to give you that right on, live and far out feel. Undercover Funk gives you everything you need to create a super-styling dancefloor number for the cool cats and foxy ladies to jive to all night long. Listen to the demo above, and check out the FREE Taster Pack today. It?s out of sight.